ERP Software is developed for Small, Medium & large sized businesses. Bsquare CRM Software helps you in enhancing 360° customer services and customer satisfaction. Bsquare custom software development application is a complete user friendly application and gets easily customized as per your specific business needs. Bsquare provides guidance to many companies in planning their IT strategies targeted to achieve business objectives. Powerparts Private Limited, implemented INTACT ERP. Sterling and Wilson Powergen Pvt.Ltd. implemented INTACT CRM for their service division. Zeppline Mobile Systems (a Syntex Group Company) have hired BSquare to supply, customize and implement its INTACT ERP system for their entire business operations. Bsquare offers ERP software solutions to help manufacturing and trading companies in SME sector to assimilate and automate all business processes. Easy and timely accessibility of the information which Bsquare provides help in improving organizational growth and efficiency. CRM software solutions – a powerful tool for sales force automation as well as automating the after sales division of a company. It is now available on a cloud hosted business model. Bsquare offers a wide range of software development services that enable companies to maintain customer data efficiently. 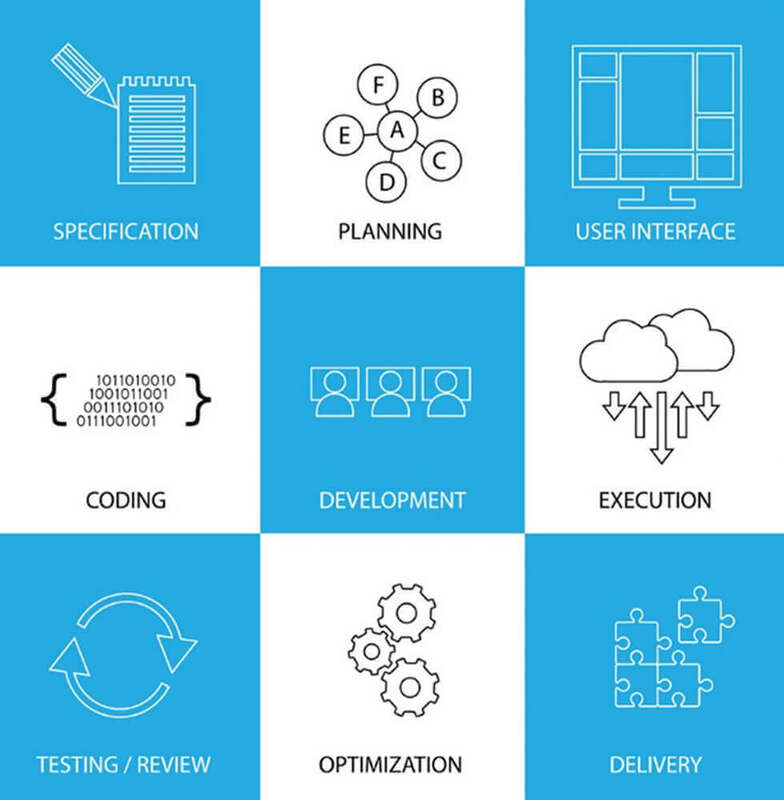 Bsquare provides sophisticated and customized application development in web and windows platform for customers, when bundled solutions are not sufficient for their requirement. So far Bsquare have built and deployed number of custom applications development in India as well as in offshore projects. Bsquare provides guidance to many companies in forming IT strategies to reach their ultimate business objectives. Over a decade of rich experience in the field of software & application development, Bsquare expertise and competent nature is enough to guide the companies in their IT Planning. Bsquare provides sales force automation software system to the growing SME sector that fulfills the corporate goals of lead management, task & activity management, information sharing, employee performance management and many more. Inventory management software system of Bsquare facilitates tremendous control on the inventory levels for tracking purchase orders, sales, delivery and services and is extremely useful in creating work or material bills as wells other inventory related documents. Bsquare is a 360 degree solutions provider in e-commerce solutions in form of website designing software including graphic designing, shopping cart software, payment gateway integration that enables seamless retail business performance. Bsquare follows up its e-commerce solutions with the right technical support comprising of a team of experts especially trained for a project. Bsquare help enterprises counter technical glitches with the right tools of knowledge & consultancy made available 24x7. Headquartered in Delhi, Bsquare was set up in the year 2000 to provide 360 degree solutions in the area of software’s like ERP and CRM software. The branch offices of the organization are located in New Delhi (India). Our experienced team ensures that Bsquare delivers excellent software services. Software Development Services like ERP and CRM are vital business tools to maintain information flow between all business functions, and manage connections with outside stakeholders. Software Development Services of Bsquare help in increasing the overall business profitability of the organization.